Steve Robinson passed away on January 4th, 2013 at the age of 57. But he will not be forgotten. Steve leaves a legacy of touching many lives during his lifetime. 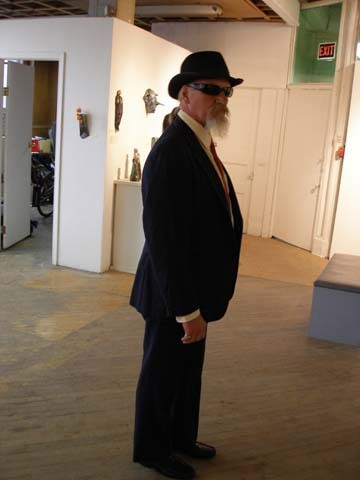 He was a strong influence to many as friend and mentor, as well as being an exceptional artist in his own right. Steve had an innate gift of being able to be in the present moment and greet everyone he met with genuine openness. His keen determination, yet gentle Zen-like manner, guided him in his quest to create that ultimate Raku piece, and in so doing, guided his excellence in becoming a master of "true Raku". The mastery of the expressive nature of his work’s evolution never failed to astonish, within the exquisite shapes, textures and glazes. 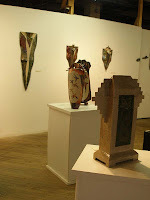 Steve's work is proudly exhibited in many of our homes, and in homes and galleries across the country. In like manner he traveled and gave Raku workshops across Manitoba, and soon became a caring mentor for a close group of students. Steve guided his artist students in their own individual quests for the honest expression of "true Raku". 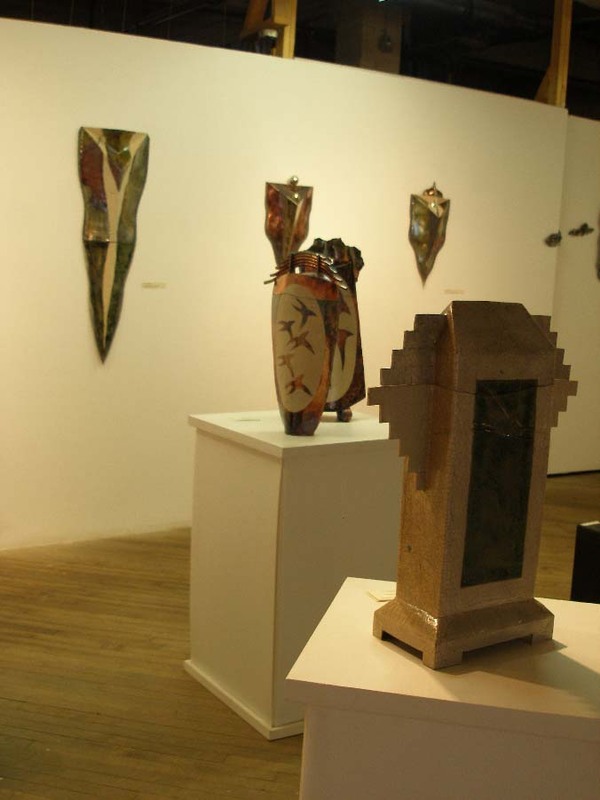 So began the infamous exhibitions as the newly formed Raku group began to show together within Winnipeg's Exchange District galleries. 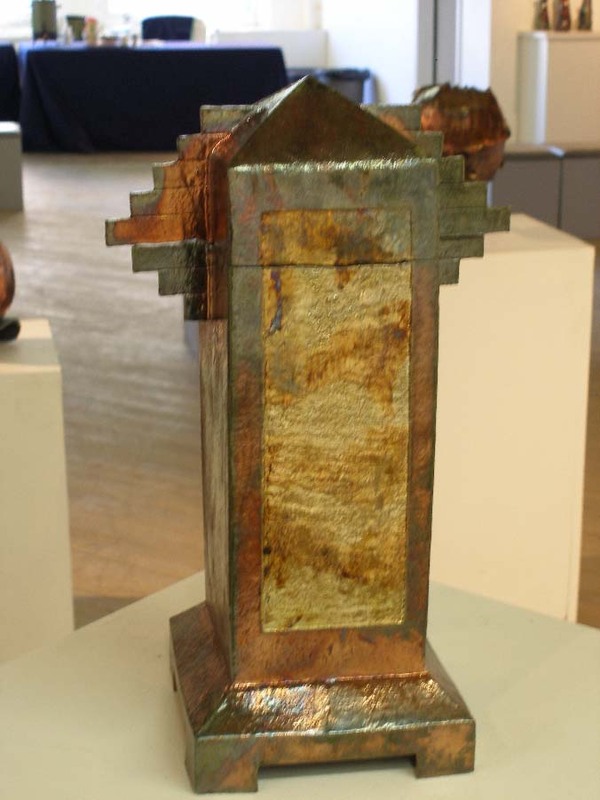 The exhibitions - "Out of Steve's Kiln" evolved into "Under The Cover of Darkness" and the group showed for over ten years, with the final "Raku Reunion" in 2011.
treasures to the light for quiet inspection. Steve would guide us with a twinkle in his eye, supportive nods and humorous wit, accompanied by his faithful companion Moon who sat aside his master and kept reverence. Always a magical experience. Steve will always be known as our "Raku Guru" and our very special friend. One of the member's of Steve's Raku group, as well as my studio partner, artist Gina Roth said it well ..
" When I look up into the sky and see dark fluffy clouds, I will think it is Steve doing another Raku firing in the great beyond". May the Raku gods be with you Steve.